Cleaning your property is a very important part of owning a vacation rental. You could have a beautiful property, but if it is unclean and unkept, that is will take away from the appeal. When cleaning your rental, you want to make sure you are using the right products. To assist you in properly cleaning your property here are some handy vacation rental cleaning checklist templates and some tips and products to use in different parts of your property! Dust tops of drawers and dressers: We recommend you do this step before you vacuum, this way you can vacuum any dust. Vacuum floor: If there are any stains in the carpet, be sure to clean them immediately. Keep stain remover handy between guest visits to avoid long-term stains on your carpet! Vacuum drapes: Using an attachment to vacuum drapes keep them from getting dusty. Clean smudges from windows: This is important so that guests can enjoy the views that your property offers, opposed to seeing fingerprints! Wipe down mirrors: Using a microfiber cloth with a cleaning product is a great method for cleaning smudges off of mirrors. 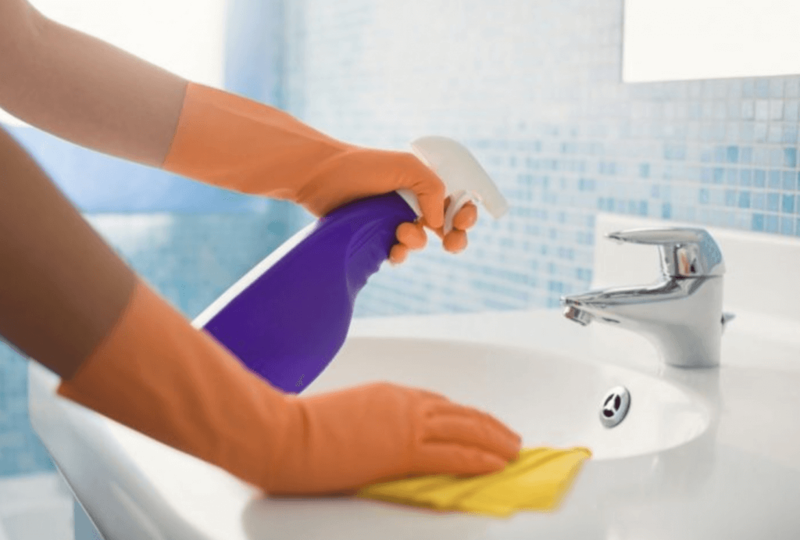 Remove hard water stains: Vinegar is a great way to remove those pesky water stains. Simply put a small amount of vinegar on a wet wash cloth, and wrap it around the water stained area. Steam clean sofa/chairs: It is great to have your sofa steam cleaned semi regularly to ensure it is left clean as new! Use this link to see other airbnb cleaning checklists created by the wonderful hosts of turnoverbnb. You can use these as a template for you own customized checklist. Your cleaners can then follow the checklists using our iPhone cleaner mobile app or android cleaner mobile app. It makes sense to look for someone that will be able to accommodate your family. In doing so returning the favor by cleaning would be wise especially in the bathroom. My sister might like knowing this as she looks for a cabin rental. This information is very informative and insightful! Thanks for sharing! I want to make sure that I get the right cabin for my vacation. It makes sense that I would want to get one that is properly taken care of! That way I can ensure that it is nice and clean when I get there.